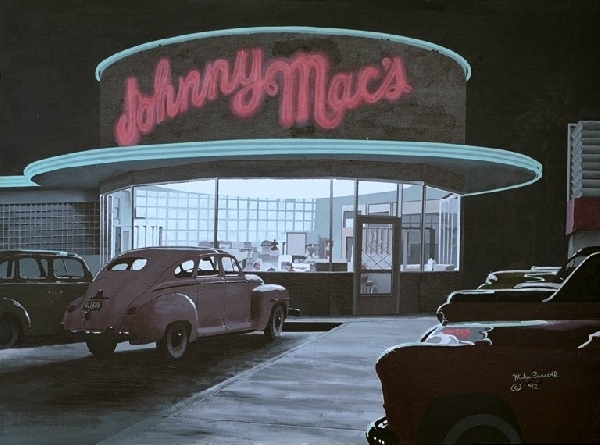 This rendering by artist Mike Carroll (whose stepfather owned the restaurant in the 1960s) shows what Johnny Mac's looked like in its heyday. The image is on display at the Mountain View library. Courtesy of Mike Carroll.